Lyme Disease infects more than 300,000 people per year and fewer than 50% of them recall ever having a tick bite. Lyme Disease does not care who you are or what you do, and if left untreated it can ruin your life. 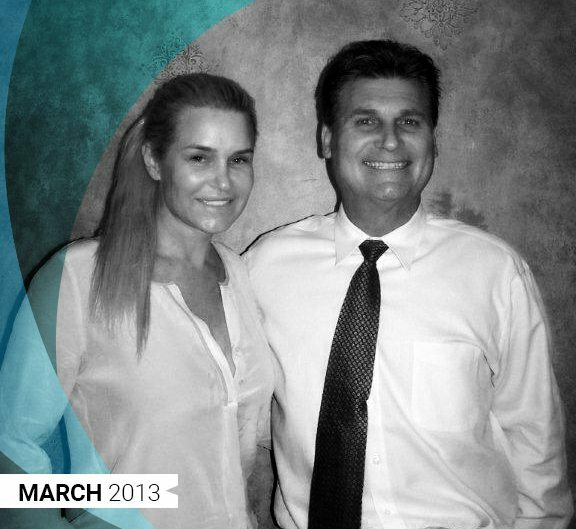 Dr. Sponaugle has recently been in the news for his treatment of high profile clients and celebrities like Real Housewives Star, Yolanda Hadid. In chapter four, she candidly opens up about her time at Sponagule Wellness. My girlfriend Suzanne Somers told me about The Spounagle Wellness Institute because the Doctor had cured her grand daughter Violet from Lyme disease. The truth is, no matter how sick you are, nobody is ready to pack up and leave their family behind to go to Clearwater, Florida. The same happened to me until my son Anwar reminded me that even though I had been home in bed for the past 6 months, I wasn’t really participating in life. I had become the shell of the woman I use to be and spent my days starring at the ceiling. I went from a hard working, multi-tasking social butterfly to living in a mentally paralyzed cocoon. I was not able to read, process information, write or do something as simple as watch t.v. 90 days of multiple Intravenous antibiotics did me more harm then good, my body was a toxic waste dump and I had yeast coming out of every part of my body. Originally I committed to spending 3 weeks at The Institute in Florida until I realized what an incredible progress I was making and finally gladly stayed for 6. Obviously it would not be fair to expect to be cured from Chronic Lyme disease in 6 weeks after years of suffering but I am definitely feeling 80% better and am looking forward to continuing my health journey at home while hopefully participating in the normal things in life. In my eyes Dr. Spounagle is a forward thinker in medicine that is willing to think outside the box. He does not take NO for an answer and will lay out the puzzle until all the pieces fit. He is an MD that uses integrative medicine and Hi-tech testing to diagnose and show progress in your recovery while working towards the cure for Lyme disease. Thank you to the team effort at the Spounagle Wellness Institute for making me believe in miracles as I continue this health journey. I am committed to raising awareness to this silent killer called Chronic neurological Lyme disease and wont stop until proper diagnostic testing and a cure is found!! With almost 10,000 successful recoveries from over 25 countries worldwide, we succeed where others have failed. At Sponaugle Wellness Institute we use PET scans to create a precise diagnosis and individualized treatment plan. A weakened neurological system often leads to co-infections causing a multitude of debilitating symptoms. Diagnosis, treatment and even family accommodations all happen in our beautiful medical clinic.